After a wild season, here's what the ending of "Stranger Things 2" left up in the air. Well, that was a neat and tidy ending. 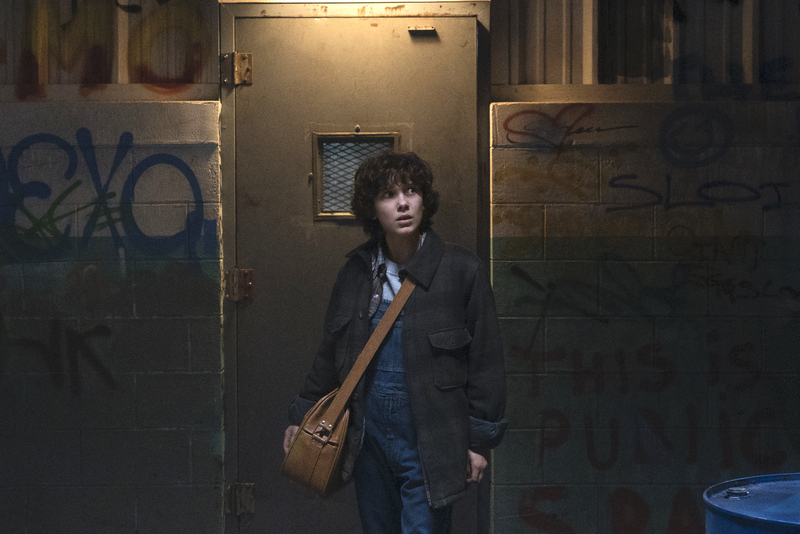 After bringing in more characters, building more stories, and digging deeper than ever into the mythology of the Upside-Down, “Stranger Things 2” ended rather simply: Eleven (Millie Bobby Brown) closed the gate, cutting off the Shadow Monster’s access to the real world and killing all the demodogs in the process. No one hugely significant died (sorry Bob), good triumphed over evil, and all looks quiet headed into Season 3. Though technically all of that is true and the second season of “Stranger Things” ended on less of a cliffhanger than the first, its cliffhanger was bigger. As The Police blasted “Every Breath You Take” over the Snow Ball, the camera crept out to a wide shot of Hawkins Middle School… and began to spin. The rotation matched the shot seen earlier, when Sheriff Hopper (David Harbour) walked through the tunnels and the frame slowly flipped its horizontal axis, turning everything upside down. Suddenly, the school that was bright with life, young love, and overused ’80s pop songs was covered in vines, darkness, and silence. 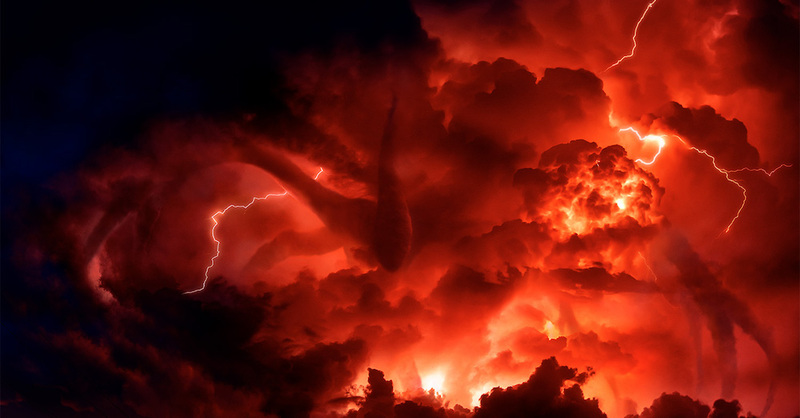 Well, not total silence: thunder clapped as red lightning flashed through the sky, exposing the giant figure first seen in Will’s (Noah Schnapp) drawing and only glimpsed when Eleven closed the gate. Now, the Shadow Monster is roaming the Upside Down, and its attention is squarely on the school. What’s Next for the Shadow Monster? The coda wasn’t quite as soul-crushing as seeing little Will Byers, who’d finally been saved from the grips of certain death, coughing up black bile and glimpsing the very world he’d left behind, but this final shot was equally ominous. The Shadow Monster isn’t going anywhere, and the kids will certainly have to deal with it in Season 3. How and why, exactly, remains unclear. The laboratory that started the experiments has been shut down. Nancy (Natalia Dyer) and Jonathan’s (Charlie Heaton) tape did the trick there (and it also led to a memorial for Barb, in what will hopefully forever close out a storyline forced open again by the most persistent — AKA annoying — of fans). Meanwhile, all the demodogs, vines, and various other Upside-Down entities on Earth are dead. The finale did take a notable moment to show what happened to a random demodog: After Eleven took care of a pack of them in the episode prior, we saw Steve (Joe Keery) and Dustin (Gaten Matarazzo) pack one into Joyce’s (Winona Ryder) freezer. Perhaps its preservation in a cold place — the Shadow Monster’s preferred temperature — could lead to a second life? Speaking of second lives, Eleven got hers thanks to the savvy work of Dr. Owens (Paul Reiser). After a pressing request from Hopper when the trio met in lab’s stairwell, Dr. Owens survived his injuries and followed through, getting Eleven a birth certificate as one “Jane Hopper,” the sheriff’s de facto daughter. It wasn’t all good news, though. The good doctor still thinks Eleven should stay out of the public eye for about a year; a sentence that caused Hopper to break his diet: How much longer can he really ask her to hide away? What happens after a year? What if people are still suspicious? We’ve seen what happens when Eleven thinks her replacement papa is lying to her, and he doesn’t want to do that anymore. That she got to attend the dance is a good sign, but Eleven still has plenty of problems to contend with in Season 3. Her powers are growing, and they’ll only continue to draw attention to her. Her “sister,” Eight (Linnea Berthelsen), is still out there. How will she react to Eleven leaving her behind? Will she continue to break bad as she searches to punish those who once punished her? What happens if she decides to visit Eleven in Hawkins? Will the police — and worse — follow her there? What’s Next for the Boys? Dustin may have struck out with women his own age, but Nancy’s right: Just give them a few years, kid. They’ll catch up, and he’ll be fine (hopefully by Season 3). What their relationships will do to their friendships remains to be seen, but Season 2 did a fine job of reinforcing that girls won’t come between the “party.” They’ll need each other to fight the Shadow Monster, so they best stick together. Mrs. Henderson got a new cat! What a cute little Siamese she found. Steve may be playing it cool, but he’s obviously still got a thing for Nancy — as evidenced by his leering look at her when dropping off Dustin. Nancy, meanwhile, seems happy with Jonathan. We cannot imagine why, but then again, two wrongs might just be right for one another. Joyce and Hopper seem destined to get together, especially now that their shared grief — she for Bob (Sean Astin) and he for his lost daughter — will likely bring them even closer together. We can’t wait to see how that nuclear family comes together in Season 3!